River basin near Augusta. Deer hunters are urged to check current water levels in their area before heading out for the opening of modern gun deer season, Nov. 10. 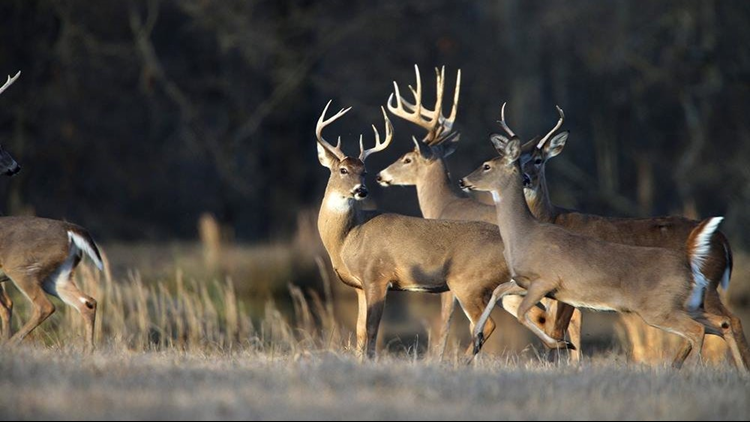 The bottomland habitats of eastern Arkansas offer excellent habitat for large deer populations, but these low-lying areas also can become inundated quickly, pushing deer into smaller areas with less available cover. This creates a situation where deer may become vulnerable to overharvest, and removes some of the aspects of fair chase. Hunting in flooded areas also increases the chances of game loss as fatally hit deer may run into swift-moving stream or deep areas before hunters can recover their harvest. A description of all flood-prone regions and criteria for closures are available on pages 56-57 of the 2018-19 Arkansas Hunting Guidebook and here. Visit www.agfc.com or call the AGFC Wildlife Information Hotline at 800-440-1477 for the status of all flood-prone regions, updated each day at 3 p.m.